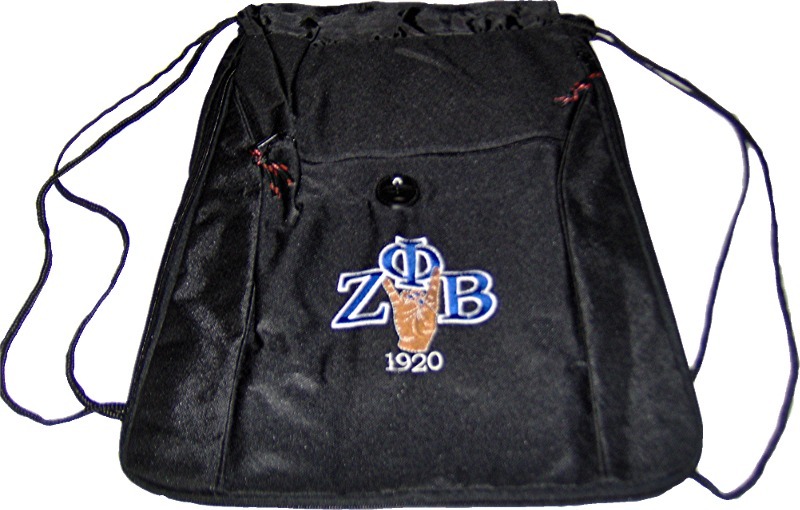 This drawstring bag is sturdy and functional - as well as embroidered with a very cute design. Inside the front zippered pocket is an organizer which can hold your mp3 player securely. Slide your headphones through the opening and continue to listen to your favorite music. And, surprise! Unzip around the sides of the bag to expand your bag an additional inch.